Green Blob Outdoors underwater fishing lights are each handcrafted for use in the harshest saltwater environment. Our led underwater fishing lights include a 6 month warranty. 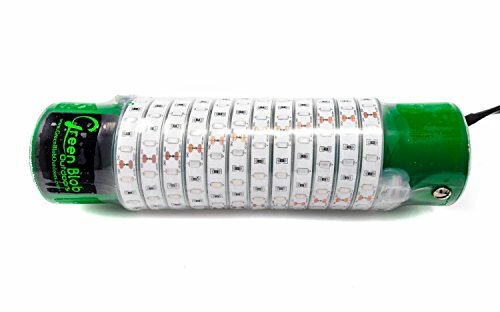 Our green underwater led lights are rated at up to 50,000 hours and unlike the old halogen will not overheat. In fact, our green led underwater lights will not overheat out of water. Perfect for docks, boats kayaks and pontoon boats as well. Our underwater dock and fishing lights are perfect for both fresh and saltwater. These lights work great for Snook, Crappie, Trout, Bass, Catfish, Tarpon and even an occasional shark. We have had customers send us videos to prove it! We love to receive videos and pictures of success stories using the green blob underwater lights all over the world. In fact you never know what species these lights will attract. 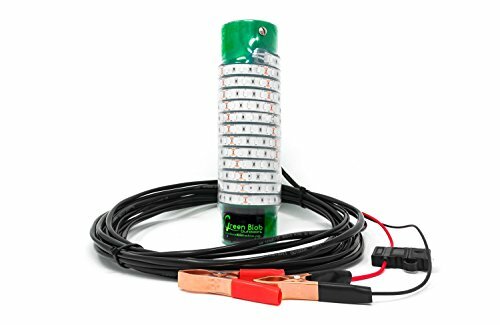 Green Blob Outdoors underwater fishing and dock lights are simply the best made and are priced right. Need bait? 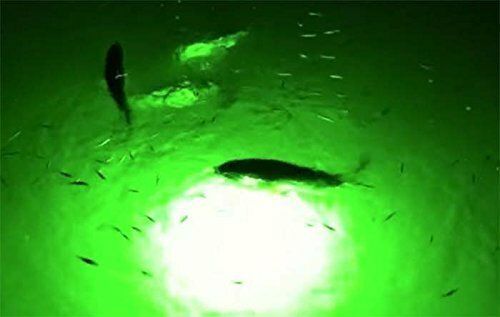 Just turn on your blob and get the dip net ready, Our lights attract all kinds of bait fish including shrimp, shad, minnows and more. 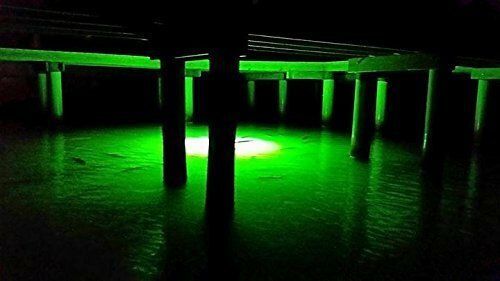 Our Green Blob Underwater Lights are designed to take the punishment from the harshest environments. Our underwater lights are of course designed for underwater use but can also be used safely above water as well. Available in green, white, and blue color underwater lights. 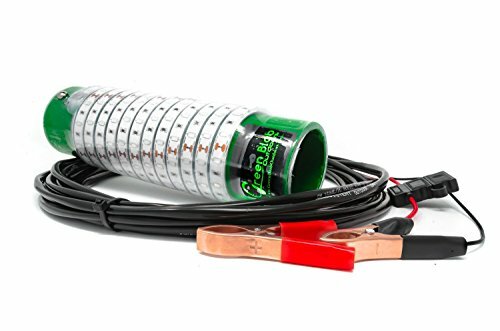 All Green Blob LED underwater fishing lights include 30 feet of power cord. And no need for mounting anything. Just drop it in! All of our lights are built in the USA. by Green Blob Outdoors LLC in Rockdale Texas. Great for ponds, rivers, saltwater, and freshwater lakes. Our boat series of lights include battery alligator clips or Cigarette lighter accessory plug. From all of us at Green Blob Outdoors, we want to thank you in advance for your business. 24 – 7 IP68 Rating. Continuous Underwater Use Rating. Designed for Both Fresh and Saltwater. 16 inches in length, Rated for 50,000 hours of continuous use, Self Weighting system: Just drop it in you favorite fishing hole and get ready for the action, no added weights needed. Color: Green. Arrives Complete and Ready to go! Attach the Alligator Clips to a 12 volt battery and enjoy. The Blob 15000 draws only 4.5 amps DC so it will operate several days on a fully charged marine battery.